The high-level dialogue platform of the third BRICS Legal Forum came to an end on Monday with representatives of BRICS countries signing the New Delhi Declaration. The valedictory event saw the arrival of Chief Justice of India TS Thakur and newly-appointed Bar Association president Lalit Bhasin. 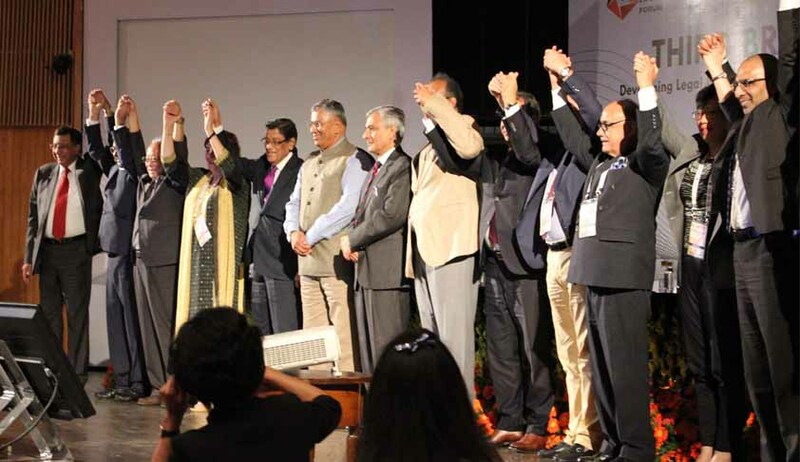 The three-day event was organised by the Bar Association of India and saw the coming together of over 120 delegates from BRICS member countries. The fourth edition of the BRICS Legal Forum will be held in Russia next year. Addressing the gathering, Attorney General of India Mukul Rohatgi applauded the fact that even though member states of the BRICS Legal Forum follow disparate cultures, they successfully managed to sit together for two days and, after several series of discussions and deliberation, were ready to sign the New Delhi Declaration. While the members applauded the now-functional Dispute Resolution Center in Shanghai, questions on its peripheral structure were also raised as it does not address specific matters. Even though the three-day forum discussion came to an end on Monday, 20 delegates from the BRICS countries will go ahead to attend a four-day training on the Indian legal system at Amity University, Noida. Amity University founder Ashok K Chauhan was applauded at the event for the support he has extended towards this initiative.